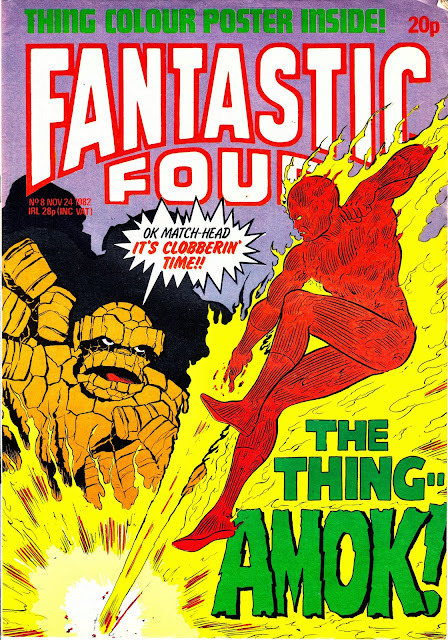 This is the second bundle of covers from the 1982-83 revival of the FANTASTIC FOUR weekly from Marvel UK, spanning November 1982. Inexplicably (maybe they had to pay to have the pages prepared and shipped to the UK so it was cheaper to recycle what they already had on file?) Marvel UK often seemed to favour rerunning older material over more modern stuff. 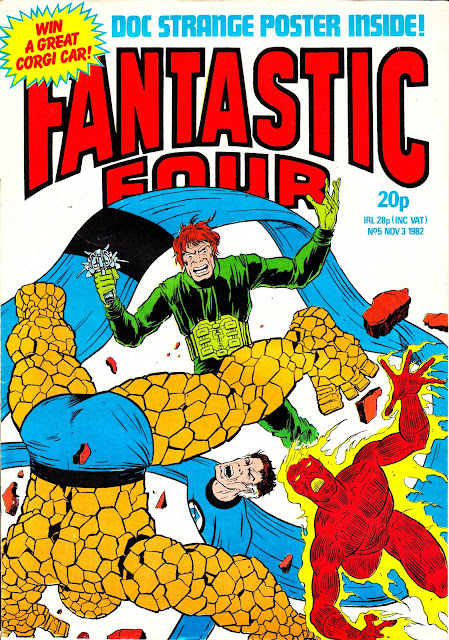 The FF strips that appeared in MARVEL TEAM-UP weekly in 1980 were more up-to-date than this 1982 edition. 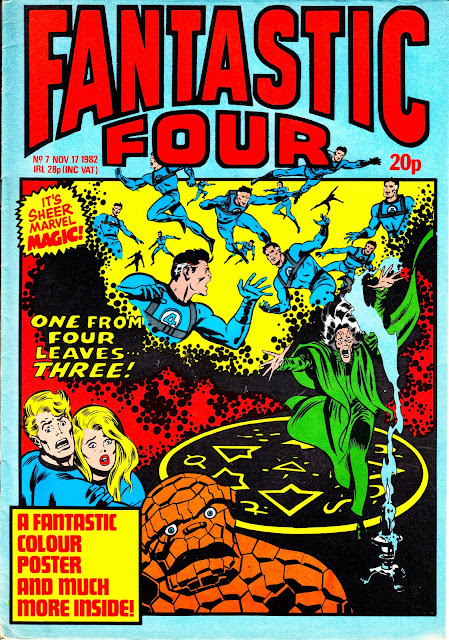 I imagine M-UK wanted to avoid the prospect of competing with the US editions by offering more vintage material. 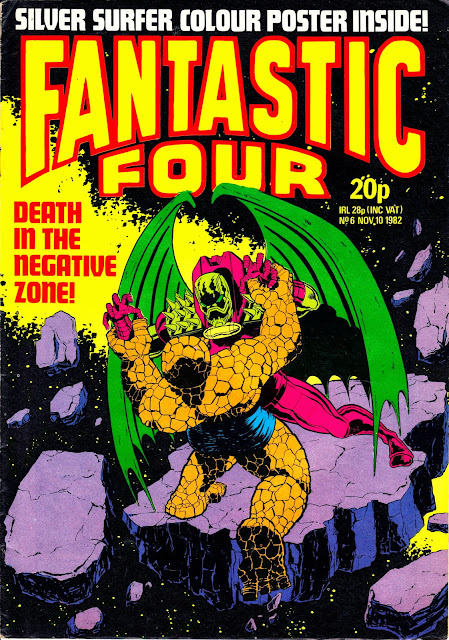 I recall finding the 1983 Lee/ Kirby reprints of THE X-MEN in the colour weekly very dated and other readers must have felt the same judging by its quick cancellation (the craptastic print quality can't have helped either). It was due to the digest series. Those started at issue 1, or in the case of the FF with the start of their golden age. The weekly just continued those stories from where the digests ended.